Scenic drives are aplenty around Gardiner. Whether your looking for an evening drive after dinner, a drive with a short hike, or the full day, we have you covered. Highway 89 is by far one of the most scenic drives in or out of Yellowstone and Grand Teton National Parks. Paradise Valley is 53 miles of breath-taking mountain views of the Gallatin and the Absaroka Beartooth mountain ranges. The valley is dotted with cattle and horse ranches. Abundant wildlife is seen on a regular basis; especially elk, mule and whitetail deer. Ospreys and Eagles perch in trees as the road follows the course of the Yellowstone river – the longest undammed river in the lower 48 states. The centerpiece mountain is Emigrant peak, elevation 10,915′. 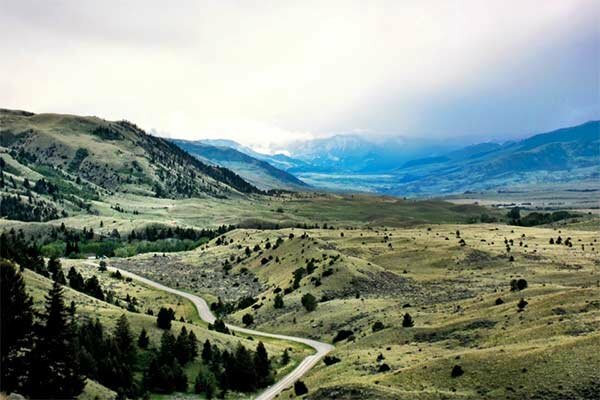 The road continues towards Gardiner winding through Yankee Jim Canyon and the Gardiner Basin which brings you right to the doorstep of Yellowstone National Park. This dirt road suitable for most highway vehicles. RV's or buses are not advised. Four season for the first five miles. 4X4 advisable in winter months. 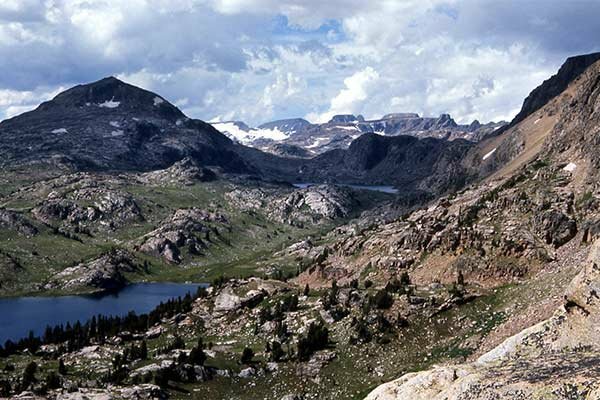 This drive starts out of Gardiner on a county road heading northeast and ends in the Absaroka Beartooth Wilderness. It is approximately 11 miles to Bear Creek Campground, (follow the signs) one of several campgrounds with hiking trailheads along this route. Dirt road suitable for most highway vehicles on major sections. This drive is full of history, scenery, and wildlife. 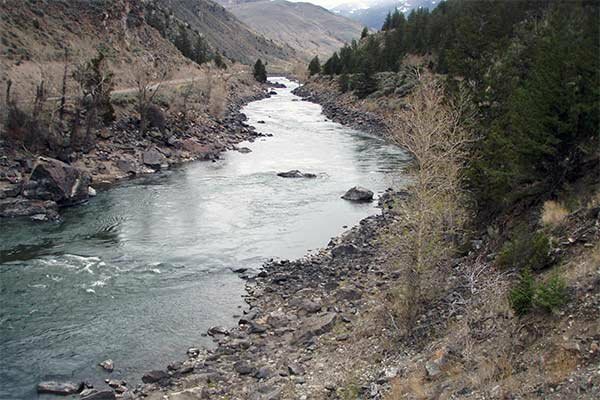 It follows the Yellowstone river and has public river access in several areas. This drive starts out of Gardiner from the Roosevelt Arch going Northeast. Taking you in and out of YNP, through private property and ending on the Custer-Gallatin National Forest in Yankee Jim Canyon. Currently, the road is washed out in Yankee Jim so stop at the cattle grate. This is a nice spot to park the car and take a stroll. P.S. The rest of this drive can take many days. Find out more information HERE. 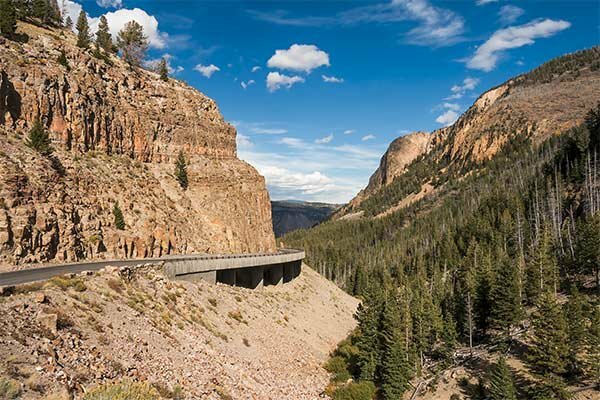 This drive takes you through a high mountain basin with wildlife, scenery, and a Custer-Gallatin National Forest campground at the end of the road. Beginning 19 miles north of Gardiner, just past Yankee Jim Canyon, head south onto Tom Miner Road from Mt Hwy 89. The dirt road winds up through the mountains with beautiful vistas and opportunities to see wildlife. Be sure to stay on Tom Miner Road. Basically, by staying right once on Tom Miner Rd., you will end up at the campground which is the trailhead into the petrified forest. This is a 2-lane frontage road paralleling Highway 89 and the Yellowstone River. The speed limit on this road is 55, 45 in some spots and it runs entirely through Paradise Valley on the opposite side of the river from Hwy 89. This drive is nonstop wildlife, scenery, and history. This drive starts from Gardiner going north on Highway 89 for approx. 22 miles turning right onto East River Road continuing north for 31 miles before returning to Highway 89. 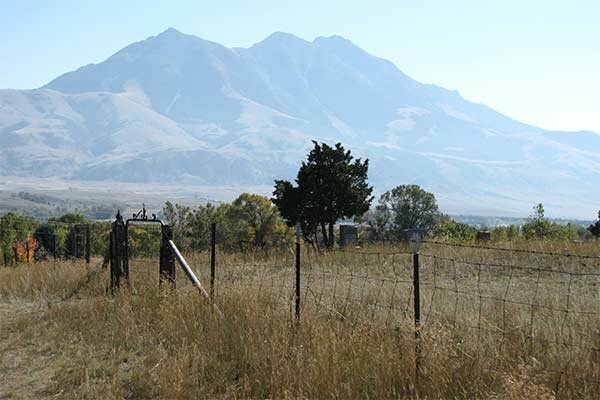 There are many scenic drives that go from the Paradise Valley floor to the ends of the road high in the Absaroka range to the East and the Gallatin Range to the West. For more information on this area please see Custer-Gallatin National forest. Arguably the most scenic and wildlife rich drive in the world. Begin your adventure in Gardiner by heading the 5 miles up the hill to your first location in the Park, Mammoth Hot Springs. On the way up to check the cliff sides for Bighorn sheep. Rich in history, this location was formerly known as Fort Yellowstone during the days when the US Army oversaw the protection of the Park’s wildlife from poachers. Today the location is well known for the herd of elk that grace the area all year long, as well as, the colorful terraces. Once you have explored the terraces, take the northern range road to Tower Junction, from there you can go over Dunraven Pass (elevation 8, 859’). Be sure to take in Tower Falls and look for both grizzly and black bears. At the end of the pass, you will have arrived at the Grand Canyon of the Yellowstone which is home to both the upper and lower falls. Be sure to stop at Inspiration Point and Artist Point. For the adventurous and athletic, explore Uncle Tom’s trail that takes you to the bottom of the canyon and to the base of the lower falls. This is just the beginning! The Grand Loop is 142 miles long so, we can’t describe it all here. What’s the fun in that? You just need to visit us and see what comes next! Or for those that like to come prepared, please click HERE. There are many drives not listed. Please check in as we will update information as well as add new hidden treasures.